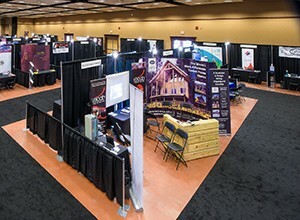 As the largest trade show and exhibit space, outside of the Lower Mainland, our venue and operations team ensure you'll be well taken care of, starting with online orders for show services, and ending with a seamless load in and load out. Our ground level 60,000 sq.ft. facility has three loading doors. With one drive in loading bay, with direct access to Ballroom 2, the 16’ high by 16’ wide door offers convenient access for large set ups and heavy-duty equipment. For smaller deliveries, two loading bays are 10’ high by 10’ wide. 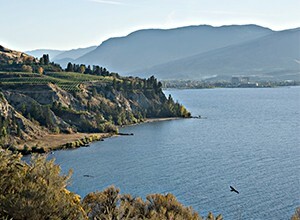 The Penticton Trade and Convention Centre offers 60,000 sq. ft. of exhibit space. 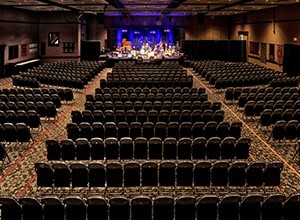 Ballroom 1 (15,051 sq. 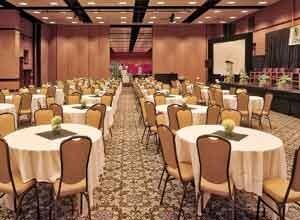 ft.) with Ballroom 2 (13,680 sq. ft.) are connected by an air wall and are pillar-free, with a clear ceiling height of 17’6” and the exposed truss is 18’. When open, our almost 30,000 sq. ft. space can accommodate 152 10’ x 10’ booths. With the addition of the two naturally lit, spacious lobbies, we can accommodate a total of 222 10' x 10' booths. 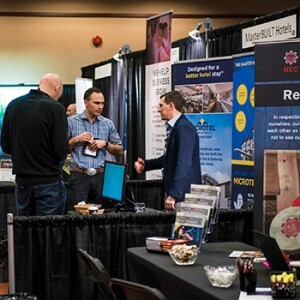 If you're joining us an exhibitor for an upcoming association convention, corporate conference, or consumer show, we look forward to welcoming you. Our team is the exclusive provider of all temporary utility services. These services include electrical connections, compressed air, and water fill/drain services.